It seems that many of you might have received an email from IRS giving notice of unreported/underreported income. BEWARE! It is a phishing SCAM! Don’t respond to it or better don’t even open it. Just delete it. The fake email notice from the IRS about unreported income pretends to be a legitimate IRS Notice called a CP2000. However, this one says its from no-reply@irs.gov, but that’s just a fake address used by the phishing scammers who want you to click the link so they can steal your financial information. Ignore the notice and DO NOT click the link as its actually just a spam email sent out to millions of people. Hopefully by now the phishing site must have been brought down. I didn’t post the URL here for reasons you know. It is unfortunately a complicated network of ‘organized’ crime. Many variants of such scams appear at various times, but the objective is simply to dupe the unsuspecting. The only thing that people can do to be safe is to familiarize themselves about the patterns and be vigilant always. With this in mind, I had written a book and have sent this information to most law-enforcement agencies requesting them to use it in their campaigns. With over 30 illustrated examples, ‘SPAM 2 SCAM How 2 B e-SAFE’ (available from Amazon, ISBN: 1440424616) prepares readers to recognize patterns of fraud in many forms and thereby helps them not to fall victim to such schemes. They will also find some simple yet practical suggestions on how to fortify their information environment including choosing strong passwords without additional software and remember them easily or change as and when required. Please feel free to broadcast this message and/or pass it around. Together, let us try to save as many vulnerable netizens as possible, as quickly as possible and in whatever ways as possible. I am a victim of crime who is not receiving the help that my family and I deserve! I appreciate your offices attention and assistance to fully report this matter to appropriate authorities including Federal Victim Services / FBI internal affairs. Your assistance is appreciated also please contact me. I’m Reporting NJ Corruption! My nine year old daughter was unlawfully taken from me!!! I received back a response / confimation of receipt from your Social Network NING! (See At the Bottom of Page). I request Federal Victim-Witness assistance. I have had great difficulty reporting this to your office because of Obstruction of Justice! I am a victim of crime who is not receiving the help that my family and I deserve! I have sent many reports to your e-mail addresses and others but still have not been interviewed in person by the U.S. OIG (DOJ)? I’m happy to hear that Chris Christie and Ralph Marra are now being investigated by Federal authorities but I still fail to be assisted or provided with appropriate victim witness assistance – why? Again State Senator Beach advised me on April 13, 2008 that arrests were going to be made and my matter was to be prosecuted by the N.J. U.S. Attorneys Office. I realize that there may be serious conflicts of interest involved given how serious this matter is. With that said I still should have heard back from someone by now! The local F.B.I. fails to self police itself and make arrests. The local U.S. Attorneys Offices fail to return my calls and prosecute N.J. AG Case #200706634. I filed a complaint against Ralph Marra with the N.J. Inspector General’s Office. Confirmation # is 20090625-377 for my complaints. It has been over 2 months and I still have not heard back from the State of N.J. or the N.J. Inspector General? Unknown parties are hacking and preventing my e-mails from going through to various U.S. Dept. Of Justice employees to further report corruption. I’m happy to hear of the recent 44 N.J. / NY Federal corruption arrests but there is more work to do! Please help me fight corruption and advise the U.S. DOJ of this matter. I have also filed recent complaints with Voorhees, N.J. Police and the Voorhees Mayors office. My nine year old daughter was also unlawfully taken from me! I kindly ask that your office please forward this complaint to: OIG.HOTLINE@USDOJ.GOV as my complaints are not being duly received / handled? I am the victim of Attempted Murder of which the F.B.I. seek s to Cover Up, a victim of police intimidation and other major crimes. I allege that F.B.I. agents attempted to kill me in the summer of 2007. I initially thought that I was a victim of malpractice committed by a 5’7 asian man thought to be a Voorhees, N.J. Virtua employee as I reported to Camden County , N.J. prosecutor Josh Ottenberg in the fall of 2007. Voorhees, NJ police failed to investigate and I definately believe otherwise now. Camden County, N.J. law enforcement did not investigate any of my claims? A man aprox. 5’7 of asian descent at Virtua Hospital continued to remove a significant amount of blood from me during my overnight stay there leaving me extremely weakened. It took numerous injections of B-12 and steroid shots administered by Berlin, N.J. physician Julian Maressa to regain most of my strength. I have provided local law enforcement with overwhelming evidence and proof of the injection s I received. Since 2007 I ‘ve been trying to file many charges and was prevented from even filing a “Protective Restraint Order” against my former neighbor and former Eastern High School classmate Special Agent William “Bill” Dicola of the F.B.I. who is criminally involved in the cover up. The local F.B.I. has ordered local law enforcement and other offices not to assist me? Intitially this tragedy of injustice started as a civil court matter regarding my divorce (N.J. Divorce Docket #FM-03-826-05W). However this criminal matter has become a personal nightmare. Rogue F.B.I. have also prevented me from retrieving my own 1999 & 2000 1040 Tax records since 2006. I have been unlawfully prevented from reopening my divorce and having a motion filed in Burlington County Superior Court to Subpoena the last 10 Yrs. of Trust Fund Tax Returns and 1999, 2000 Full Federal Tax Returns. My Former spouse Marni Mills of 1323 Crofton Court Mt. 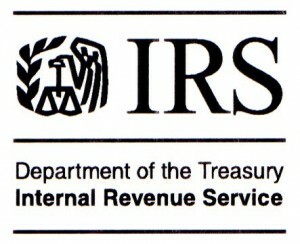 Laurel , NJ removed those Tax records from my former marital residence of 5 Sherman Lane Sicklerville , NJ 08081 . My former spouse hid Assets and a Trust “The ?Marni-Weiss Trust” from me during my divorce proceedings worth millions. Her CPA Murray J. Fox of 1200 Bustleton Pike, Suite 3 Feasterville, PA also would not supply me with a copy of these records. I allege my former father in-law Stacy Weiss of 713 Bentley Court Moorestown, N.J. used his undue influence to pay off court officials and members of local law enforcement. The F.B..I. is trying to cover up this matter to protect many including members of the FBI. I attempted to file collusion charges in Winslow, N.J. against my divorce attorney J ames Vogdes, III Esq. who was also a municipal court judge in Camden and Burlington County NJ . Delaware U.S. Senator Tom Carper in December 2008 was trying to assist me and forwarded materials to a government oversight commitee. Thank you for contacting me to share your correspondence with the U.S. Inspector General’s office. I appreciate you contacting me about this issue. I have forwarded your materials onto the appropriate committee, and I wish you luck with resolving your situation. Please do not hesitate to contact me in the future about any other matters of importance to you. To send another message please visit my website at http://carper.senate.gov/contact and fill out the webform for a prompt response. Thank you. > I am a victim of crime who is not receiving the help that my family and I deserve! I have sent many reports to your e-mail addresses and others but still have not been interviewed in person by the U.S. OIG (DOJ)? I’m happy to hear that Chris Christie and Ralph Marra are now being investigated by Federal authorities but I still fail to be assisted or provided with appropriate victim witness assistance – why? > Again State Senator Beach advised me on April 13, 2008 that arrests were going to be made and my matter was to be prosecuted by the N.J. U.S. Attorneys Office. The local F.B.I. fails to self police itself and make arrests. The local U.S. Attorneys Offices fail to return my calls and prosecute N.J. AG Case #200706634. I filed a complaint against Ralph Marra with the N.J. Inspector General’s Office. Confirmation # is 20090625-377 for my complaints. It has been over 2 months and I still have not heard back from the State of N.J. or the N.J. Inspector General? Unknown parties are hacking and preventing my e-mails from going through to various U.S. Dept. Of Justice employees to further report corruption. I’m happy to hear of the recent 44 N.J. / NY Federal corruption arrests but there is more work to do! Please help me fight corruption and advise the U.S. DOJ of this matter. > I am the victim of Attempted Murder of which the F.B.I. seek s to Cover Up, a victim of police intimidation and other major crimes. I allege that F.B.I. agents attempted to kill me in the summer of 2007. Delaware U.S. Senator Tom Carper in December 2008 was trying to assist me and forwarded materials to a government oversight commitee. There are also e-mails going around aslo from the FBI simular to the one form Irs. I have gottne several.